The picture of Giovanni Bellini “The profit or Perseverance”. The size of the picture is 32 x 22 cm, wood, oil. A special place in the artist’s work is created by him in the late 90’s cycle of paintings – allegories. In these pictures, the master tried to reflect the ambiguity of human feelings, speaking the language of that era – the passions. In his allegories to a modern man, everything seems mysteriously vague, although it is more than likely that the author’s contemporaries, the refined connoisseur of poetry and the connoisseur of the language of symbols, have been sufficiently clear in the allegorical plot sense of the composition. 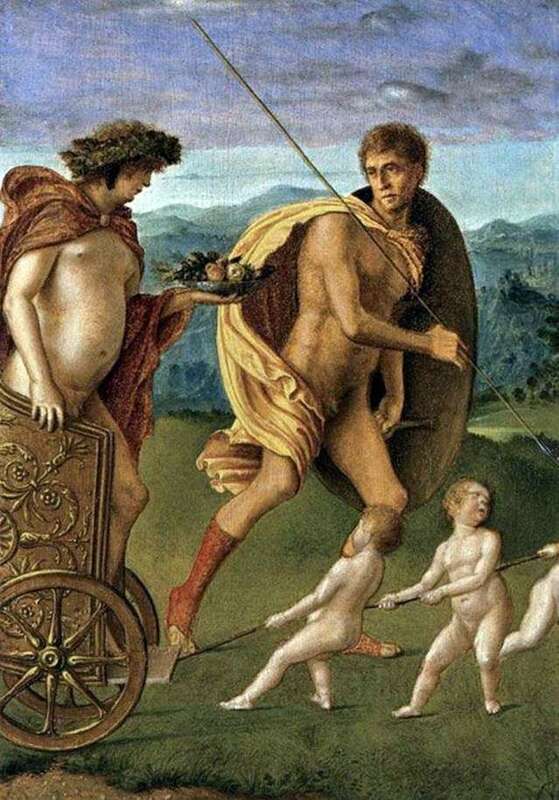 Description and meaning of the painting Profit or Perseverance by Giovanni Bellini.